In the New York Times Smarter Living section 3 February 2019, journalist Jaya Saxena considers why you should “dig up your family’s history” and how to do it. Where did she go for advice?—to the National Genealogical Society (NGS). In her article, Saxena recommends the National Genealogical Society and our website as a top choice to learn how to begin to build your personal family history. This timely article was circulated to more than four million daily readers who subscribe to the digital New York Times. It features links to NGS’s new website homepage and to our “How to Build a Family Tree” tutorial in the Free Genealogy Resources section of the website. Please forward the Times article along to friends and family members who are just now (or not yet) discovering the joys of searching for their roots. And make sure you also share NGS’s recommended pathways at our website to learn how to research family history, at all levels of expertise: Getting Started, Going to the Next Level, or Building Advanced Skills. 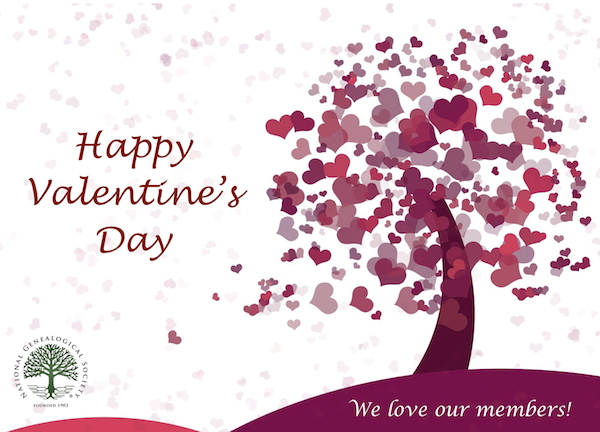 If you haven’t visited the new site, log in and discover many more helpful resources available free or for members only, including online courses from home; our best-selling genealogy books; and articles in NGS Magazine, NGS Monthly, and the NGS Quarterly journal. 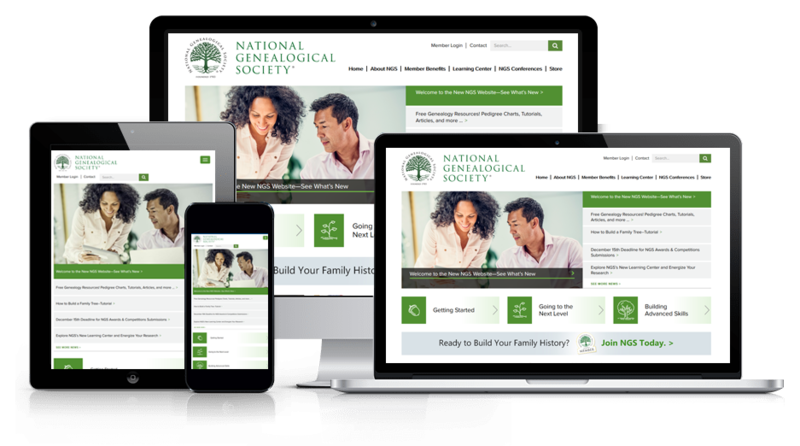 See why the National Genealogical Society is a top choice for learning more about how to discover your family’s story and find out what all the buzz is about! Saxena, Jaya. “Why You Should Dig Up Your Family’s History−and How to Do It.” 3 February 2019. New York Times, Digital Replica Edition, Smarter Living Section. 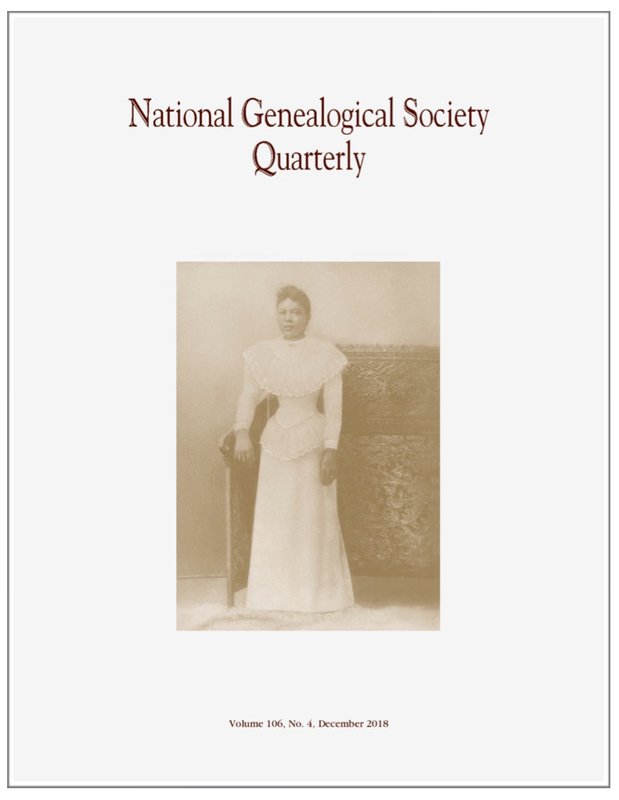 The December 2018 issue of the National Genealogical Society Quarterly, Volume 106, Number 4, has been mailed to members and is available online in the Members Only section of the website. The National Genealogical Society Quarterly (NGSQ) is published four times per year in March, June, September, and December. 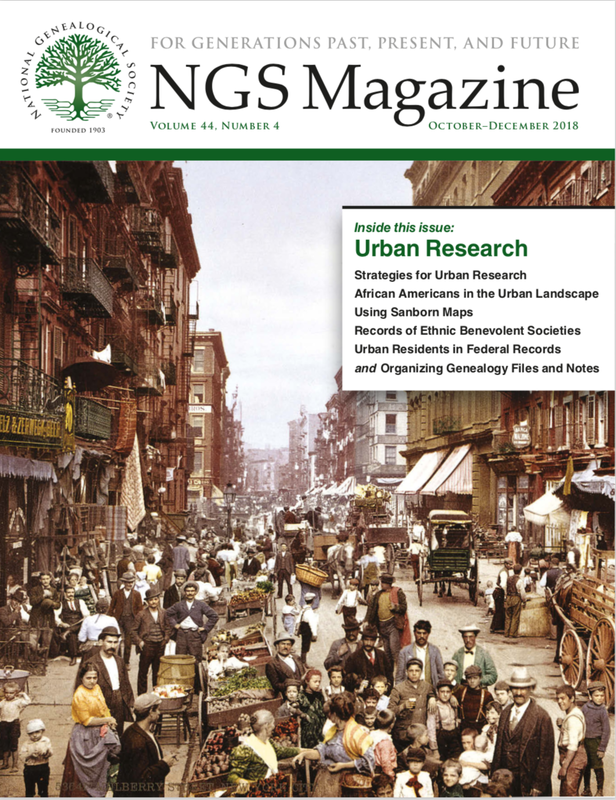 The October-December 2018 issue of NGS Magazine, Volume 44, Number 4, has been mailed to members and is available online in the Members Only section of the website. While every place has its own history and record-keeping practices, urban settings have unique challenges as well as research opportunities. Large populations complicate the effort of identifying a single person, and the multiple newspapers, churches, and cemeteries in cities increase the number of places to search for records. In this issue, Meryl Schumacker explores some of the characteristics and strategies of urban research. She discusses studying geography and jurisdictional changes, identifying an ancestor’s place of worship, and using a selection of records important in urban research: censuses, city directories, tax lists, and municipal records. Jordan Jones recommends practical steps for organizing and accessing the mass of files and images that may accumulate during genealogical research, particularly while tracing urban ancestors. Since most city-dwellers didn’t own property, deeds aren’t as helpful in urban research as they are in rural research. However, other types of records, such as city directories and Sanborn maps, are more common in urban areas than in rural locales. Sanborn maps make it possible to visualize ancestors’ homes and neighborhoods. Rebecca Lowery explains their content and techniques for locating and using these extremely detailed maps. The next issue will include an article by Terry Koch-Bostic on city directories. Cities tended to have high concentrations of immigrants and ethnic groups. African Americans have been migrating to cities since the arrival of their ancestors, not just during the Great Migration from the South. Timothy Pinnick examines the history of African American migrations and presents resources that can be used to trace ancestors originating in the southern states. Kathy Petlewski profiles eleven ethnic benevolent societies founded in cities between 1729 and 1881 to assist immigrants, and demonstrates that some of their records—with genealogical information—are accessible. In a column featuring National Archives sources useful for tracing urban residents, Claire Prechtel Kluskens highlights draft registration and naturalization records, District of Columbia records, and photographs. 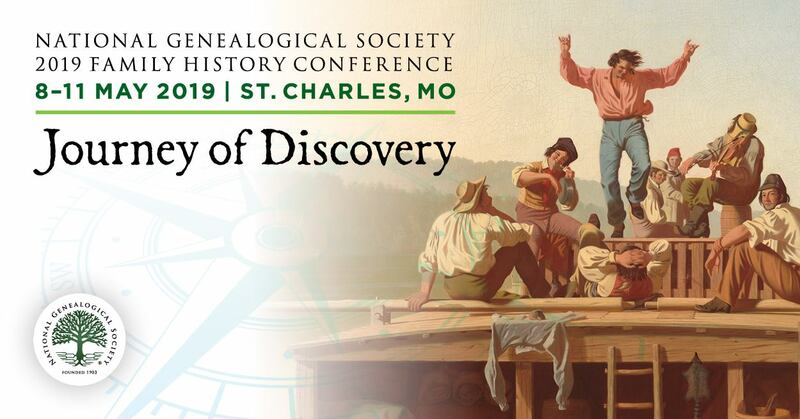 Also in this issue, Ann Fleming reveals the breadth of the 2019 Family History Conference in St. Charles, Missouri, 8-11 May, and Scott Holl describes the extensive genealogical collections at the nearby St. Louis County Library, including the NGS Book Loan Collection. Tina Beaird portrays the three waves of the 1918 influenza pandemic that killed more than sixty million people and outlines resources for researching the pandemic’s impact on communities.